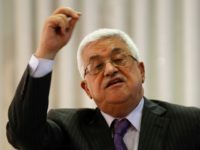 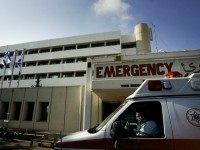 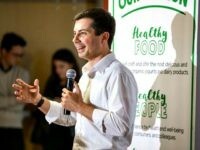 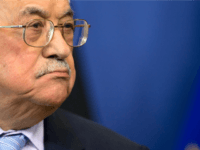 TEL AVIV – The Israeli defense establishment is concerned with the deteriorating health of Palestinian Authority President Mahmoud Abbas following another spate in hospital last week, an analysis in the Haaretz daily said. 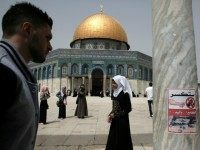 TEL AVIV – A overwhelming majority of Israelis (77%) believe that the government’s decision to remove metal detectors at the Temple Mount following rioting by Muslims signified capitulation on Israel’s part, according to a poll commissioned by Israel’s Channel 2. 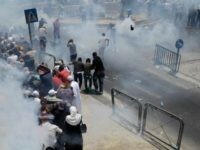 TEL AVIV – Violent clashes with Israeli security forces erupted as thousands of Palestinian Muslims returned on Thursday to the Temple Mount for afternoon prayers at the Al Aqsa Mosque in celebration of Israel’s removal of all security measures installed at the site since a terror attack there saw two Israeli-Druze policemen murdered by three Arab gunmen two weeks ago. 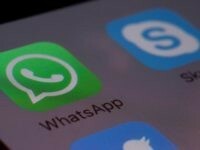 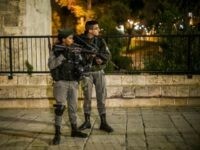 More than two dozen Palestinians were wounded in fresh clashes that broke out on Sunday night in Jerusalem and the West Bank as Palestinians continued to protest against new security measures at the entrance to Jerusalem’s Temple Mount. 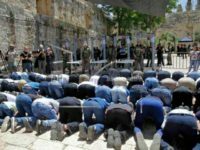 TEL AVIV – Jewish visitors were barred from entering the Temple Mount Wednesday morning after several were caught breaking the rules and praying with sacred books, police said. 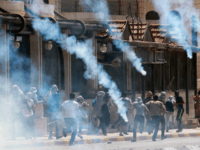 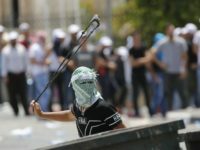 JERUSALEM — Muslim rioters engaged in violent clashes targeting Israeli security forces in Jerusalem’s Old City near a main entrance to the Temple Mount, with reports of at least 34 people injured, including 14 requiring hospitalization. 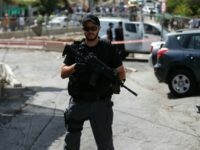 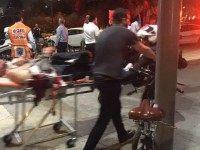 A terrorist carried out a stabbing attack at Lions’ Gate in Jerusalem’s Old City on Wednesday afternoon, leaving two policeman lightly wounded before being neutralized. 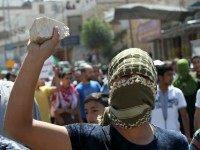 Three people were lightly injured in two rock-throwing attacks in East Jerusalem on Tuesday, police said.